When Marjory Stoneman Douglas High School students return from next week's spring break, they will be required to use only clear backpacks at school, the superintendent said. Each student will be given a clear backpack at no cost, Superintendent Robert Runcie said in a letter Wednesday. Students and staff must also wear ID badges at all times at school, he said. These changes, among others, come in the wake of some reported incidents at the school after last month's massacre. 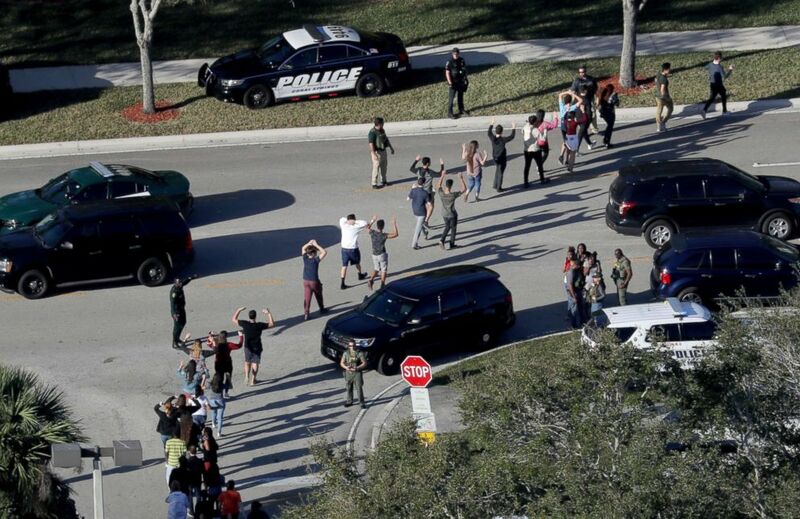 Students hold their hands up as they are evacuated by police from Marjory Stoneman Douglas High School in Parkland, Fla., after a shooter opened fire on the campus on Feb. 14, 2018. On Tuesday, a Stoneman Douglas student was arrested for allegedly making a threat on Snapchat, according to the Broward County Sheriff's Office. On Monday, an officer allegedly fell asleep while in a marked patrol car on the school's campus, authorities said. The officer was suspended with pay pending an internal affairs investigation. Two students were also arrested this week in separate, unrelated incidents for allegedly bringing in knives to Stoneman Douglas, authorities said. And the suspected gunman's brother, Zachary Cruz, was arrested on Monday for allegedly trespassing on school grounds, according to police. 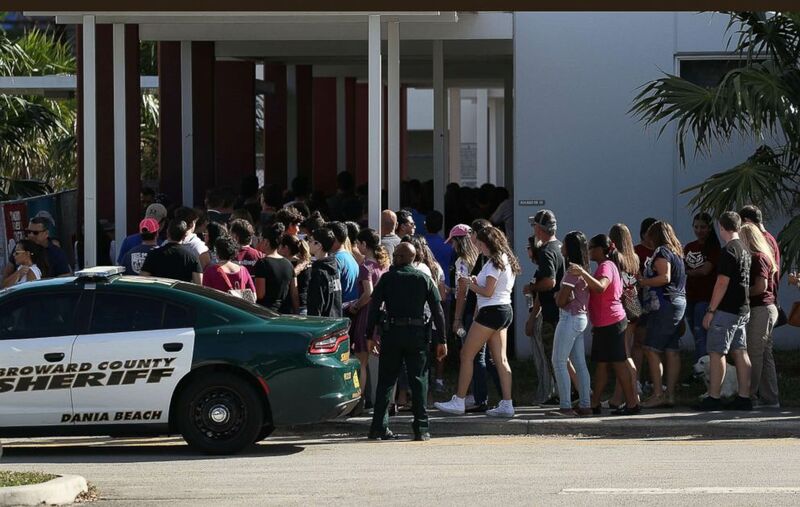 After these incidents, over 700 students stayed home from school on Wednesday, ABC affiliate WPLG reported. 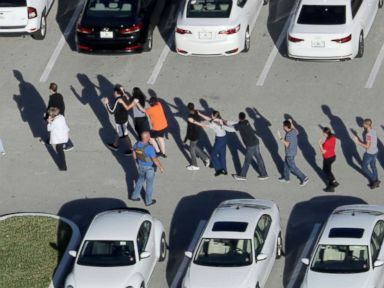 People visit Marjory Stoneman Douglas High School campus on Feb. 25, 2018 in Parkland, Fla. for the first time since the shooting that killed 17 people on Feb. 14. The superintendent's letter on Wednesday did not mention any connection between these reported incidents and the new security measures. 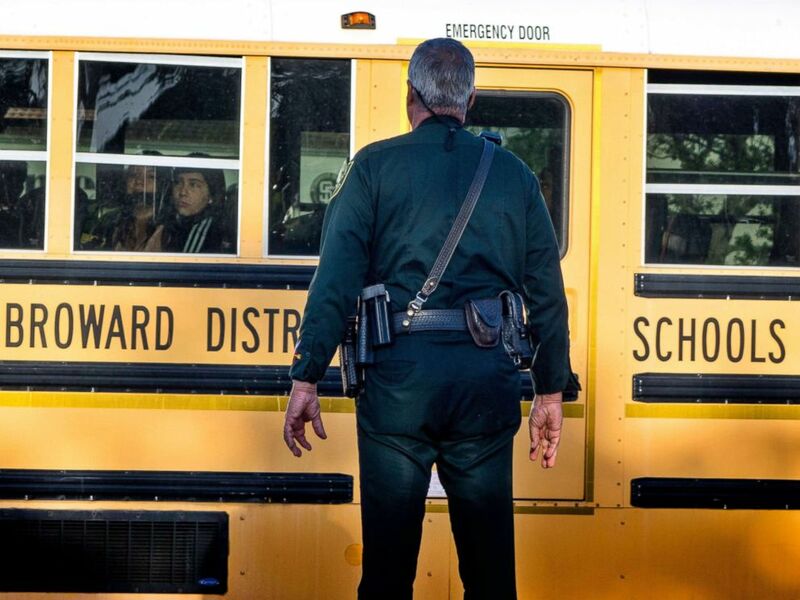 Beyond the backpacks and IDs, there will now be eight Florida Highway Patrol troopers to help secure entry points at the school after Gov. Rick Scott’s request for extra protection. Students and parents arrive for voluntary campus orientation at the Marjory Stoneman Douglas High School, for the coming Wednesday's reopening, following a mass shooting in Parkland, Fla., Feb. 25, 2018. A police officer on duty the Marjory Stoneman Douglas High School entrance as parents and students arrive at the High School in Parkland, Fla. Feb.28, 2018, for the school's reopening, two weeks after the mass shootings at the school. Moreover, the district "is exploring options for consolidating points of entry for students and staff to include utilizing metal-detecting wands and potentially installing permanent metal detectors," Runcie said. "These measures further enhance the Single Point of Entry currently in place for campus visitors." 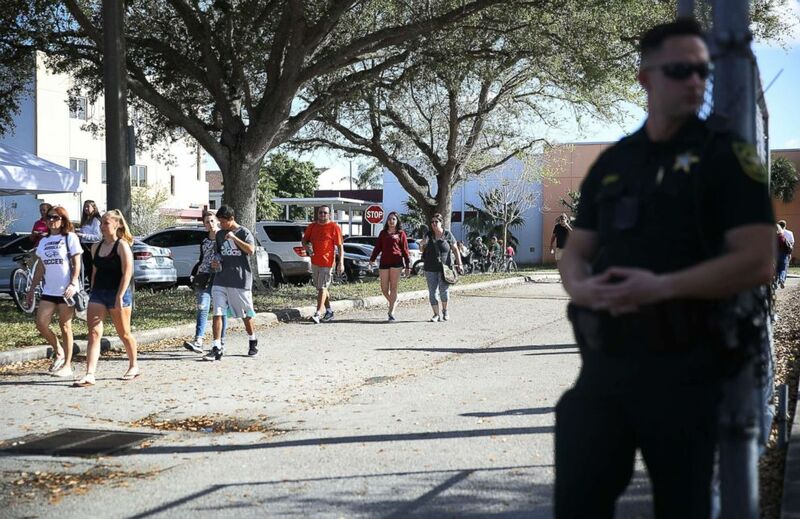 "The safety and security of our students and employees remain our highest priorities," Runcie said. 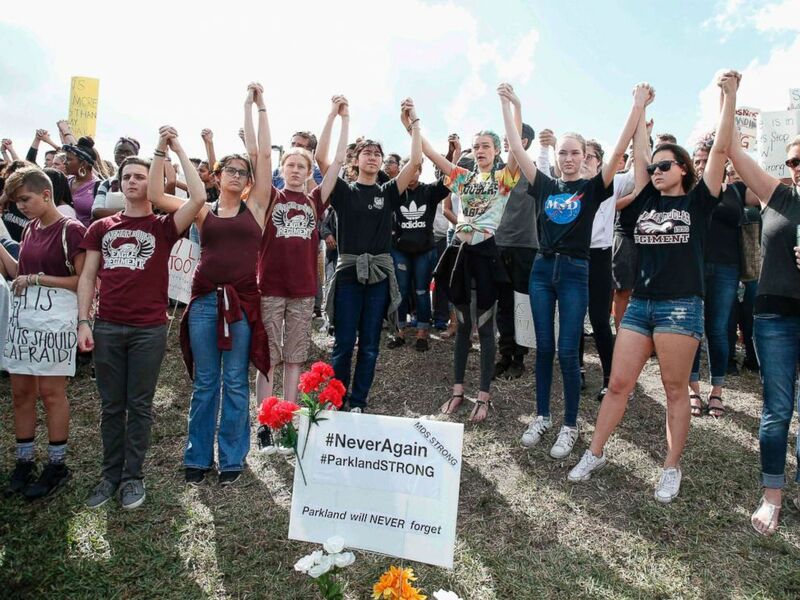 "While we cannot change the heartbreaking and senseless act of violence at Marjory Stoneman Douglas, by working together, we can change the future."